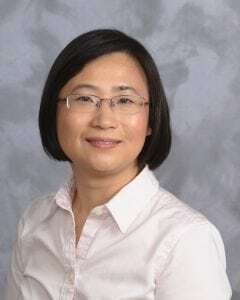 Lulu Zhang, M.D., has joined St. Peter’s Medical Oncology/Hematology, a practice of St. Peter’s Health Partners Medical Associates. Board-certified in internal medicine, Dr. Zhang practices specialty care in medical oncology and hematology. In addition to oncology, her professional interests include genitourinary oncology. Dr. Zhang received her medical degree from the Peking Union Medical College in China. She completed a residency in internal medicine at Albany Medical Center, and a fellowship in hematology/oncology at Tufts Medical Center in Boston. Together with St. Peter’s Cancer Care Center, St. Peter’s Medical Oncology/Hematology offers a treatment approach that is patient-centered and supported by a multidisciplinary team of cancer care specialists. Providers have expertise in pain management, treatment of chemotherapy side effects, and psychological care. St. Peter’s Medical Oncology/Hematology is accepting new patients at its office at 317 South Manning Blvd, Suite 220 in Albany. For more information, click HERE, or call 518-525-6418.